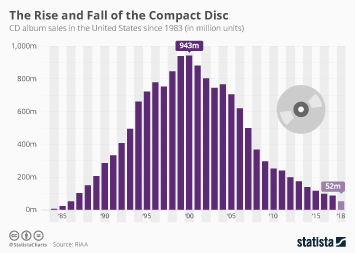 2015 marked an interesting milestone in the history of the U.S. music industry. 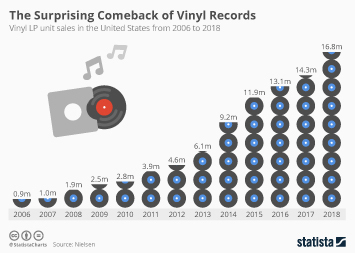 For the first time ever, current releases accounted for less than half of total album sales in the United States as catalog albums outsold new releases by more than four million units. 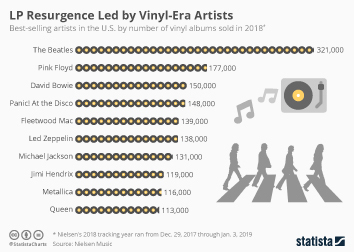 Nielsen defines catalog releases as any release older than 18 months, thus including old Beatles albums as well as more dated releases of current artists. 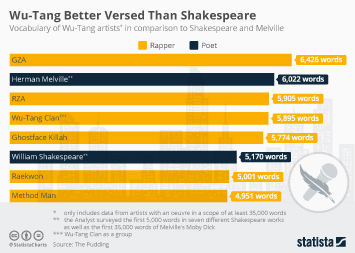 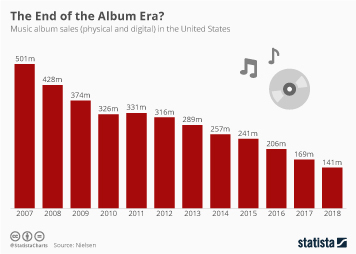 Just ten years ago, current releases outsold classic material by 160 million units, a fact that illustrates how big of a change the industry underwent within the past decade. 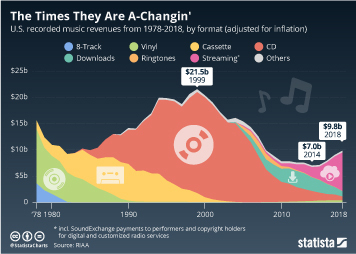 There are several factors that likely contributed to this trend. 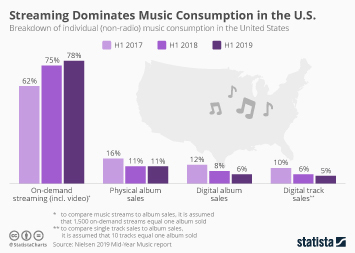 Online retailers and digital music stores have given consumers much easier access to older releases, allowing music fans to catch up with their favorite artists’ earlier work. 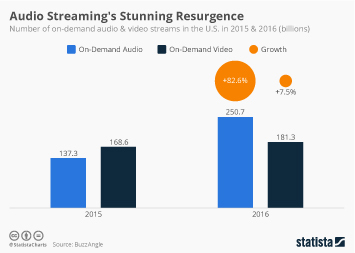 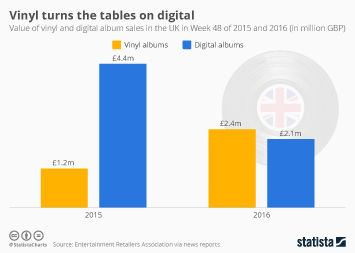 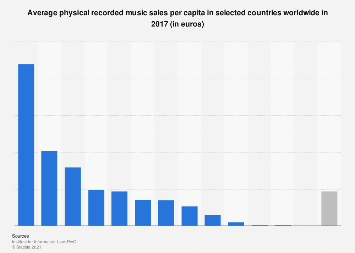 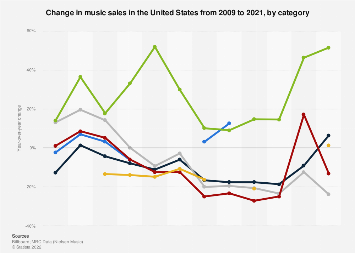 Then there is the rise of music streaming, which has probably also tipped the scale in favor of catalog album sales. 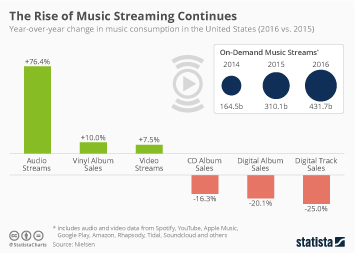 While the youth, more interested in current music than classic rock, has turned to streaming services, older music fans, i.e. 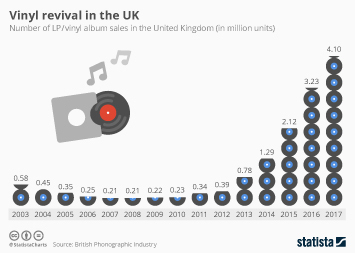 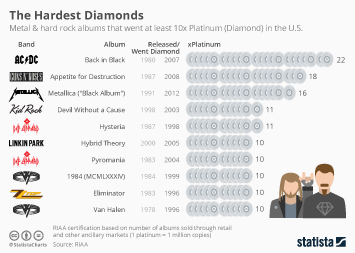 those who still purchase albums, are more likely to buy old Rolling Stones records.